A Dollhouse Building Plan that works for you. Go to Printable Checklist here. Start by listing the large jobs. Work down by rooms to smaller projects. Start gathering tools and construction materials. Your Tools -- A beginners list of tools used in constructing your house can be found here. As always this is not an exhaustive list and if you find something that works well for you continue with what you know. Anything else you think you need prior to starting. List good books and websites to aid in helping along the way. Decide on colors just like for a real house. Obtaining an artists color wheel may aid in visualizing what colors go well together. It may also keep you focused on choosing colors for your particular house theme. 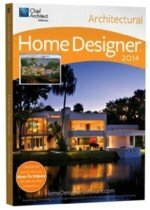 Choose a furniture design or designer for your dollhouse building plan. This is where your own tastes and preferences come into play. Remember your choices make your project individual and unique to you. So never throw away your own creative bend. This is your doll's home after all. What will each space contain? Depending of course on the room. Draw up a budget for your dollhouse building plan. In drawing up this design both big and small projects will have to be worked in. Assign yourself a budget for your overall construction project and purposely calculate staying within it. The dollshouse hobby can be as inexpensive or expensive as you make it. So stay within your comfort zone for spending and you will come out a winner for sure. If need be, do every room separately. If you are one who is desiring to do it all, it helps to see smaller pieces than enormous ones. Setting up your pricing format by room will help take your mind off the over all total. Then schedule doing each area over a period of time. In this way your efforts will not seem so, all consuming and even be, ever-changing and always entertaining. This will enable you to be always working in different areas. Never bored with your current construction projects. Decide on who to assign projects to. Is there a special child or grandchild around who would love to help you? Let them if possible. It will be fun for you and them. Make them a gofer or other job helper. Make their position important to you. Above all think of this as your own tiny mansion. 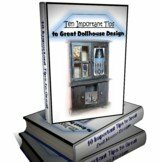 You're going to love the process as you advance in your dollhouse building plan. Enjoyment is the best benefit of creation. So never start without your share of it onboard. It will make the outcome that much sweeter. Go to Printable Dollhouse Building Plan Checklist here.